In case you were wondering, this is my dream kitchen. Dreamy. And look at you with another newspaper debut! How about that wallpaper in her bathroom?! The whole house is a dream. 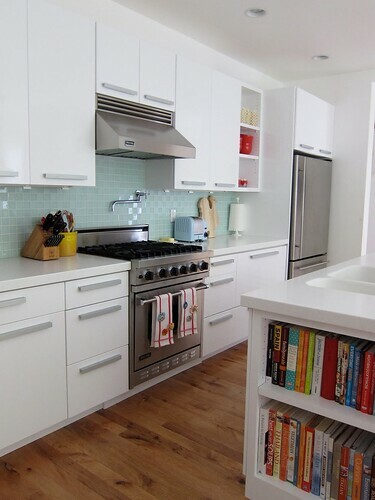 I have glass subway tiles in my kitchen and loooove them...but the color in your inspiration pic is yummy!